UVM Extension AgEngineering – UVM Extension helps individuals and communities put research-based knowledge to work. Join us on our series of 2019 On-Farm Workshop for Commercial Vegetable and Berry Growers! Attendance at these events is free for members of the Vermont Vegetable and Berry Growers Association. The cost is $10 per-person for non-members, payable on-site. Refreshments will be served. Membership in the VVBGA costs $55 per farm, per calendar year. The VVBGA works with University of Vermont Extension to deliver education and applied research for its growers. A PDF of this schedule can be seen here. We’ve received a number of inquiries about building germination chambers so we have decided to provide some consolidated resources and guidance. 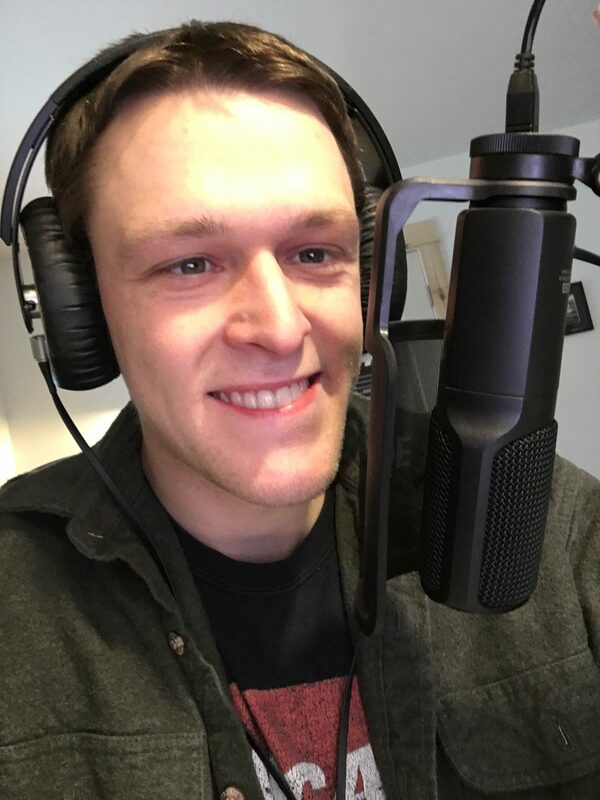 I recently had the opportunity to share a public service announcement for WDEV Radio and thought I’d take the three minutes to discuss what a consumer needs to know about Food Safety. The written transcription is below, or your can choose to listen to the segment yourself! UVM Extension in partnership with the VT Agency of Agriculture, Food and Markets is hosting a FSMA Produce Safety Alliance Grower Training in Middlebury on March 19, 2019. More information is available at https://www.regonline.com/producesafetyalliancemiddlebury and below. Click the image to view the printable PDF invitation. Launching of The Ag Engineering Podcast?! I am excited to share a new idea and am looking for your feedback and support! Today, I am releasing Episode 0 of the UVM Extension Ag Engineering Podcast! This is a short form audio segment on tools, tips, and techniques to improve the sustainability of your farm. This is a trial episode to introduce the idea, and give you a feel for what to expect. It is 5 minutes in duration, but I expect future episodes will be 10-20 minute interviews with farmers talking about a specific piece of equipment or farming practice that has changed their farm for the better. Have a listen, and let me know what you think! If you want to hear more or have a topic idea I’d love to hear it. You can either e-mail me at andrew.chamberlin@uvm.edu or enter your comments in this survey. Produce wash sinks and tanks on vegetable farms consist of several different styles, designs, sizes, and uses. The needs vary from farm to farm but some features to consider are highlighted here. Some common basins for washing vegetables could include the following. Silas Doyle-Burr is managing Last Resort Farm in Monkton, VT, taking over the operations from his parents on the farm he grew up at. The farm was purchased in 1987, and transitioned from dairy farming to vegetable production in 1993, and now grow 26 different crops split just about evenly retail vs. wholesale. 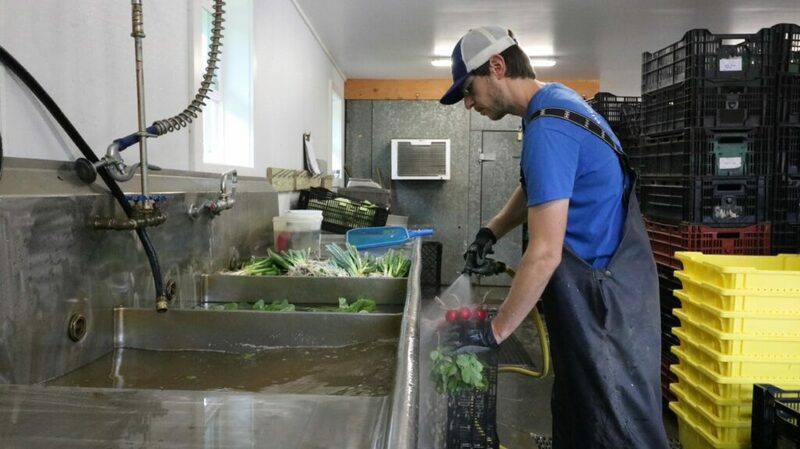 The following link is a playlist of videos taken with Silas showcasing some of the features implemented to turn a dairy barn into a vegetable wash and pack space. There are many options when it comes to constructing a walk-in cooler, cold room, or warm room for on-farm storage. Protect framing and insulation with smooth, cleanable materials and vapor barrier to prevent moisture and condensation inside the walls. Lisa MacDougall has led Mighty Food Farm through start-up, relocation from rented land to owned land, and now through the construction of a brand-new 60 ft x 90 ft wash and pack shed. She’s done this all while producing a diverse mix of organic vegetables, tree fruit and berries on fourteen acres, now, in Shaftsbury. We’ve already posted a write-up about this case study here, but we just released videos that go along with it! In the playlist below there is an intro video, followed by a video showing the washing process in the new space (2min), the use of a Grindstone Barrel Washer on carrots and beets (2min) as well as the full-length interview (11min) with Lisa about the project. Enjoy!